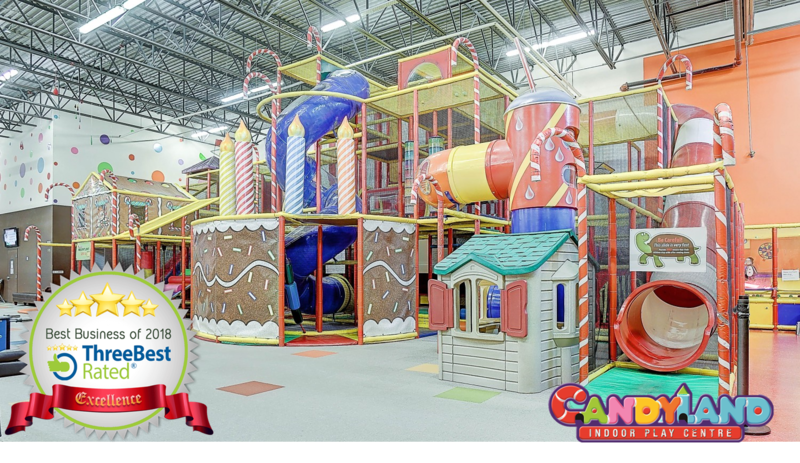 Candyland is a 13,000 sq ft., fun-filled indoor play centre for children aged 1-13, where kids will have the time of their lives! Kids will love our 20ft high play structure designed in Candy theme, the exciting ball shower, the eye click interactive floor game, 3 wave slides, a super hook slide, a jellybean themed obstacle room, a chocolate river-themed trolley glide, a variety of game areas, wall climbing, and a toddler’s area for little kids; you’re sure to have a great time! At Candyland, our priority is to provide kids with the safest and cleanest environment possible while letting them have as much fun as they can. Children will be able to interact with others their age and get plenty of exercises. Most importantly, we want Candyland to be a memorable place for both children and parents, and a place so sweet that kids will be longing for more.